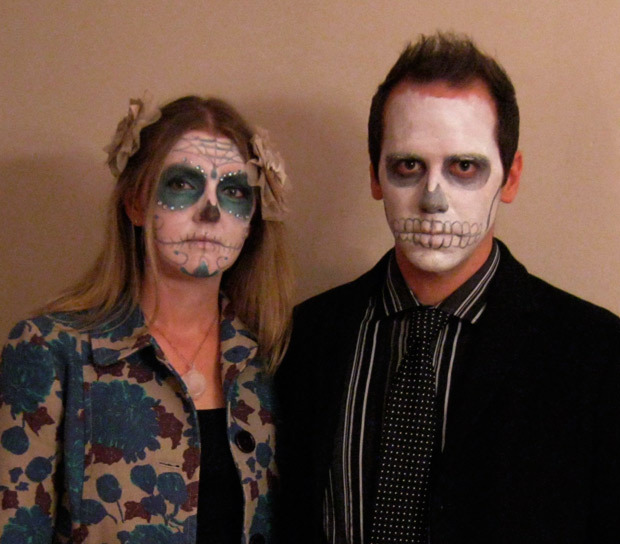 Walker wanted to go as Dia de los Muertos this year, so we put together some fun outfits for Highball Halloween last night. Despite the freezing temperatures, we had a great time! This entry was posted on Saturday, October 29th, 2011 at 3:18 pm	and is filed under holidays. You can follow any responses to this entry through the RSS 2.0 feed. You can leave a response, or trackback from your own site.